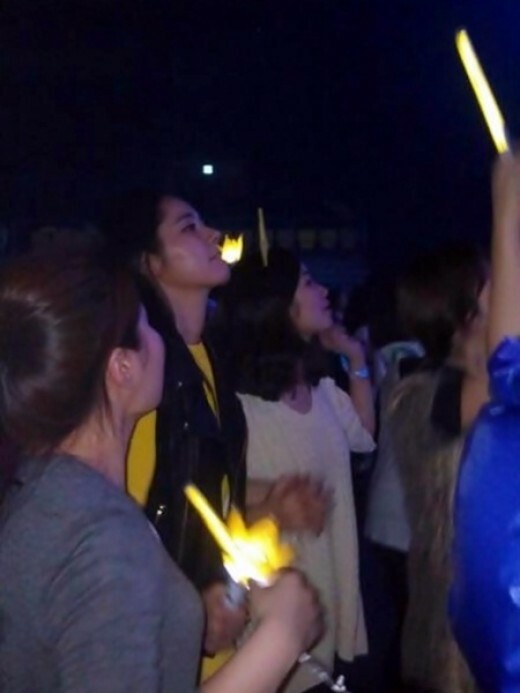 Actress Han Ga watched the concert of Big Bang was attracting attention. On March 3rd, 2012, a thread with the title of “Han Ga In appeared on the scene of Big Bang’s concert” was posted on a portal bulletin board together with related photos. The “2012 Big Show” Big Bang concert was held from March 2nd to 4th of 2012 in Olympic Gymnastics Arena at Songpa-gu, Bangi-dong. A netizen who attended the Big Bang concert posted in various online communities and SNS that Han Ga In was attending the concert of Big Bang. 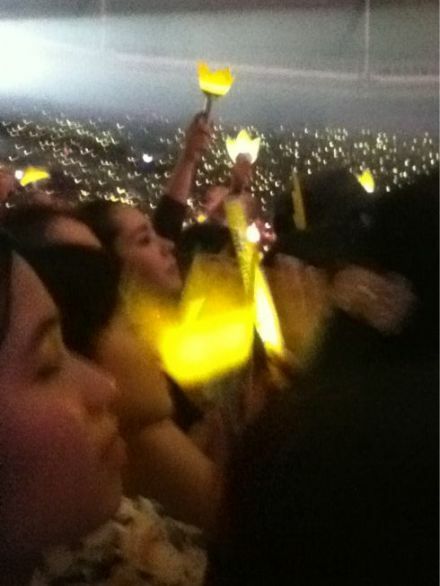 It’s reported that Han Ga In watched the concert of Big Bang twice on March 2nd and March 4th, 2012. As can be seen in another photo, even though Han Ga In was wearing comfortable casual wear, but her appearance was still glowing. Netizens commented, “The bridge of the nose is straight,” “Went with young Kim Yoo Jung?” “Heo Yeon Woo likes Big Bang, “Looks beautiful without makeup,” “Watched twice, must be fan of Big Bang,” “The filming of The Moon Embracing the Sun ended?” and so on. Prior to this, the young actress who played the childhood period of Yeon Woo (played by Han Ga In), Kim Yoo Jung, published through Twitter her photos with members of Big Bang.